They are meant as words of comfort and words of support. However, so many times, the words are hurtful, instead. During my fifteen years as a foster parent, I have had the privilege of having over 50 children come to live in my home, and become a part of my family. Without a doubt, I would never have been able to do it if it were not for the support of my friends and family. Yet, I also understand that these same people truly do not understand how the foster care system works. Indeed, before I was a foster parent, I was the same way. I simply did not understand the foster care system. With that in mind, here are 7 things one should never say to a foster parent; 7 statements that might be offensive to those who have given their lives to helping children in need. More importantly, these comments hurt the children that are living with us, causing them further grief, anxiety, and emotional trauma. 1. Which child belongs to you? In my home, there are no labels. There is no biological child, no adoptive child, no foster child. They are all my children, and I love them unconditionally. 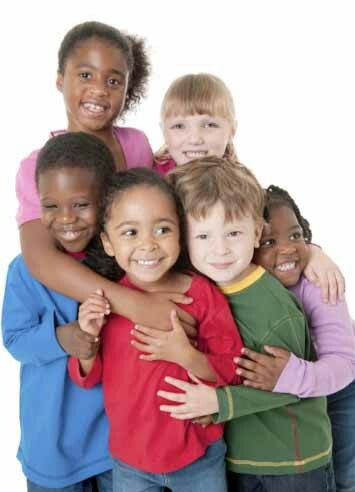 Each child living in my home is a member of my family. As foster parents, we can protect the child from harm, provide a safe and secure home, offer nutritious meals, and open up a doorway of opportunities for foster children, granting them new and exciting experiences that they may never have dreamed of. Yet, with all of this, with all of the wonderful opportunities and safe environments, foster children really crave love the most. They want to be loved, and they need to be loved in order to grow. After all, every child deserves to be loved. 2. I couldn’t do what you do. I would get too attached. My response is this; “That’s a good thing. It is supposed to hurt. My heart is supposed to break! These children need me to hurt for them. 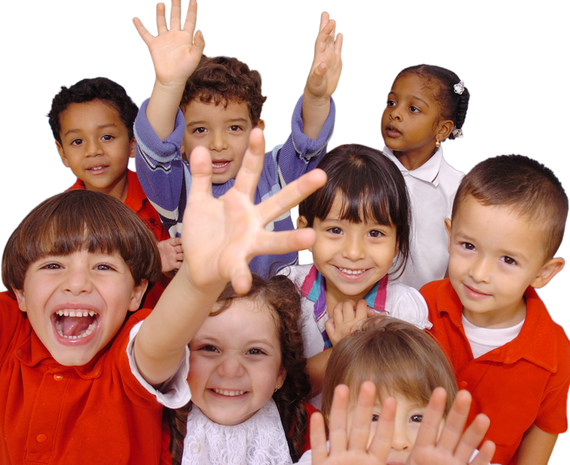 To be sure, children in foster care need stability and they need security. Yet, what they need the most is to be loved. As foster parents, we might the first adults who have ever loved the child in a healthy and unconditional fashion. Sadly, for some children, we may be the only adults who will ever love the child in this fashion, in an unconditional manner. So, when the child leaves our home and our family, our hearts should break. We should experience feelings of grief and loss. After all, we have given all of our hearts and love to a child in need. Oh, and I do cry each time these children leave my home. I do grieve, as my heart is indeed broken. 3. They sure are lucky to have you. Imagine, if you will, being taken away from your mother and your father, without any warning at all. Imagine being taken away from your siblings, your pets, your stuffed animals and toys. Imagine being taken away from your bedroom, house, yard, and neighborhood. Imagine, too, being taken from all of your relatives, friends, classmates, and everything you knew. In addition, after all of this, imagine if you were suddenly thrust into a strange house, with strangers, and informed that this was your new home and new family for the time being. Being placed into a foster home is a very frightening time; one filled with fear, uncertainty, and anxiety. It took me awhile to realize one simple fact; so many of these children do not want to live with me. It doesn’t matter that I can provide them security, stability, good nutrition, and new and exciting opportunities, at the end of the day, I am not their father, and my wife is not their mother. These children want to go home. 4. How much do you get paid? Raising any child in today’s society is financially challenging. Foster children are no different in that respect. Whether it is diapers and baby wipes, or clothes and high school graduation material, foster parents are bound to spend money on these children. It is true that state’s agency often reimburse us on much of it, though there may be times where we spend our own money. As so many of these children coming into care have never experienced a birthday, Christmas, or other holiday, we often reach into our own pockets and wallets, and go all out to make these special events just that, very special. Do I make money being a foster parent? Absolutely not! I do become rich, though; rich with love, laughter, and the opportunity to watch children heal and find hope. 5. I can’t do it. I’m just too busy. I have had up to 11 children in my home, at the same time. I have had as many as 7 in diapers in my home. Both my wife and I work full time jobs, with my wife owning her own business. We have no help; there is no nanny or maid. There are no family members living near by who can help look after all of the children. Without a doubt, my life is rather busy, as well as hectic at times. At the same time, I wouldn’t have it any way else. I am not too busy to help a child in need. My life is simply busy being filled with laughter, joy, and love. 6. You can’t help every child, you know. I have heard this statement many times. When I do, I often relate a famous story to these people. Perhaps you know the story of the starfish. “I’m throwing these starfish back into the ocean,” the young boy answered. “I see. But why are you doing this?” the father asked. 7. You are a superhero. While I appreciate the comment, I am not a superhero. I am not a saint, either. There are days when I am exhausted and worn out. There are days when I am frustrated with the system. There are moments when I wonder if I can continue on. There are even moments when I wonder if I have made any difference, at all. So, join me on my mission. A mission to recruit 10,000 new foster parents by the year 2020. F10K. America’s foster care system is at a crisis level, as there are not enough foster parents to care for these children in need. Dr. John DeGarmo has been a foster parent for 15 years, and he and his wife have had over 50 children come through their home. He is a consultant to legal firms and foster care agencies, as well as a speaker and trainer on many topics about the foster care system. 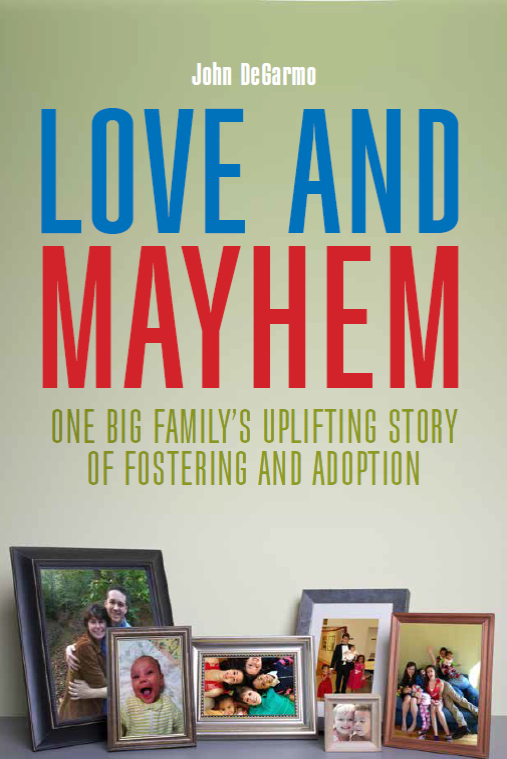 He is the author of several foster care books, including Love and Mayhem: One Big Family’s Uplifting Story of Fostering and Adoption, and writes for several publications. He can be contacted at drjohndegarmo@gmail, through his Facebook page, Dr. John DeGarmo, or at The Foster Care Institute.